It is that time again. TVGuide had another lighting round with the executive producers – Adam Horowitz and Edward Kitsis – about our favorite television series “Once Upon a Time.” With season three’s battle of evil versus wicked, so many things could possibly happen. It is time to dig deeper with the show’s executives and learn what that is. Most of the questions generated, are from fan’s questions off Twitter. The rules of the lighting round are that the producers have the option to answer, “Yes,” “No” or “Can’t answer.” With that said, here we gooooo! 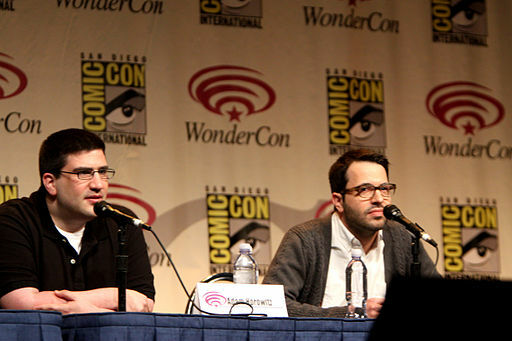 Adam Horowitz and Edward Kitsis both agreed that the sleeping curse would not come back into play. Kitsis said that she was just being wicked. Horowitz came back with that Zelena was just pushing her buttons. Note: This was not really yes or no! What do you think? Horowitz said that is an assumption that Henry will get his memories back. However, he did tell us that she will play a role attempting to get it back. Kitsis said they believed that he was a fun character. In fact, they would be interested in seeing him again next year. Horowitz said that casting a curse, no matter who does it, would still follow the exact rules they established. Kitsis came back with you always have to give up something you loved most. They confirmed that someone’s heart was given up. Kitsis confirmed that we will meet Zelena’s father and learn who the Wizard is this weekend. Horowitz said that we will not learn who Hook’s father is this year. Kitsis said that we probably won’t ever learn that. Horowitz just said they are in the same Mommy and Me group. Note: What does that even mean?! Kitsis said he does not see how anyone is safe around Zelena. This year, we will not see anything else about New York City, but that is a possibility for next season. This was a response from Kitsis. Kitsis said that she was not robbed of a happy ending, but things like that do not happen overnight. It is something that has to be worked towards. Kitsis said yes! They would love to show that someday. Horowitz said that it is possible, but Kitsis said it won’t be in season three. As of right now, Horowitz said it is just the Knave. He went on to say how the story for Wonderland was meant to be for only one-year. It was a close-ended tale, and it will not be continued on “Once Upon a Time.” On the other hand, Kitsis did confirm that we may see a few familiar faces from Wonderland pop up here and there. Kitsis confirmed there will be more. Ahh! Previous Previous post: Is Neal Really Dead?